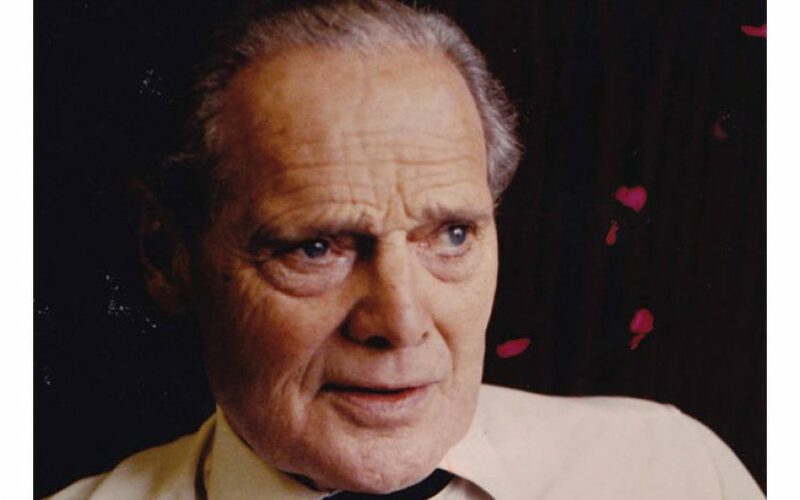 The year was 1982, and Sir Douglas Bader was to be interviewed by Michael Parkinson. A young researcher was sent to talk to him in his mews house near the Albert Hall. Within half an hour Sir Douglas phoned to say he was sending her back as she knew nothing about him. I was asked to go in her place. ‘Do you mind?’ The producer asked. Mind! I’d have paid for the privilege. I knew all about him, of course. A biography had just been written by his friend ‘Laddie’ Lucas and I asked for an hour or two to skim through it. Somehow, I managed to grasp the fundamentals of Bader’s views on how the Battle of Britain should have been fought, what the Duxford Wing was, why there were differences of opinion between 11 and 12 Fighter Groups, pilot shortage and Lord Dowding’s strengths and weaknesses. He said he only had a problem with his legs if he had to kneel. When he went to receive his knighthood, ‘old’ Dicky Gillette (everybody was referred to as ‘old’ this or that) worried in case he overbalanced and decided they’d better have a rehearsal. ‘Good idea, old boy,’ Sir Douglas had said. ‘Don’t want me falling flat on my face and bringing HER down, do we?’ Fortunately ‘old’ Johnny Mills and another chum, ‘old’ Neil Cameron, were also there. They both pretended they had tin legs, and fell about all over the place. Altogether they had ‘a good giggle’. I soon discovered that Sir Douglas’s main aim in life was to have a good giggle. Sir Douglas didn’t want to talk about flying, the Battle of Britain, or being a PoW. ‘Oh forget about that. Everybody knows about it. They’ve seen the film and think I’m Kenneth More.’ He laughed uproariously. We talked about sport, and the joy of still being able to compete, with or without legs. He was full of admiration for the chaps who played wheelchair basketball. He nearly fell off his chair with laughter recalling a game he’d watched in Canada. The referee was unpopular, so the participants ran him down and he had to be carried off. His philosophy regarding loss of limbs was that the younger you lost them the better! He meant that it is much easier to adapt when young. He was tremendously enthusiastic about the work he did talking to other disabled people. He secretly enjoyed a spot of fortune-telling. A couple of years later he and his wife Joan went to a fête near Banbury. Noticing a booth marked ‘Fortune Teller’, he popped in. The lady inside said that she wasn’t really a fortune-teller, but was in touch with ‘the other side’. She told him, ‘Someone called Henry wants to tell you that he went to sleep for a little while and then woke up. He’s now doing exactly as he wants, and he’d like you to know that the grass is a great deal greener this side than it ever was over your side.’ Sir Douglas was adamant Henry had sent a promised message. Sir Douglas often went to Scotland to play golf with his good friend, Jan Collins, the publisher. Jan always arranged for Sir Douglas to have one particular caddie, Andy Anderson, a dour Scotsman. ‘He’s long since gone up there to join Henry, where the fairways are greener. Ha, ha, ha, ha!’ One day, as they were completing a round of golf at Troon, Jan told him about a lovely course called Machrihanish, over the water on the Mull of Kintyre. ‘Let’s go over,’ said Sir Douglas. ‘I’ve got my aeroplane at Prestwick. It’ll only take us twenty minutes to fly.’ As they finished the game, he said to Andy, ‘I’ll pick you up in the morning in my car, drive you to Prestwick and we’ll fly over there.’ Andy stopped dead in his tracks, and banged Sir Douglas’s bag of clubs onto the ground with a determined thump: ‘I’ll no fly with ye, ye mad bugger,’ he said, and they never did play at Machrihanish. All the time we’d been talking, Sir Douglas had been lighting his pipe, puffing it, knocking it out, or re-filling it. Suddenly he knocked it out again, without re-filling it. There was a certain finality about it. My forty-five minutes had gone in a flash. ‘Well there you are, my dear! Can I give you a lift anywhere?’ he asked. ‘I’m going to Hyde Park Corner.’ I was going in the opposite direction. ‘Oh, thank you,’ I said. ‘Hyde Park Corner will be wonderful.’ Anything for a few more minutes with my hero. I asked if I could use his bathroom. ‘Yes, but hurry. I daren’t be late for the old duck.’ I’d hardly got up the stairs when I heard him revving up. ‘Bang the door behind you and leap in,’ he said, the Mini already on the move. The mews became a runway, and I was in a Spitfire, taking off down the narrow cobbled lane. He darted between cars on Kensington Gore – I swear we were airborne. We screamed to a halt just in time, as Lady Bader walked up from the other direction. She took my place, and the Spitfire zoomed away. He’d told me that, during the War, he’d been able to park his aeroplane outside his hut – no running out to it like you see on the films. So I arranged for him to park his Mini right outside TV Centre for the programme. Vera Lynn was one of the other guests, and sang ‘We’ll Meet Again’. When Sir Douglas was ready to leave I took him down to his car. He gave me a kiss and said ‘We will meet again, Eve.’ I was thrilled, although I couldn’t quite see how. A few weeks later he died. Now it would have to be on the other side, where the grass is greener.